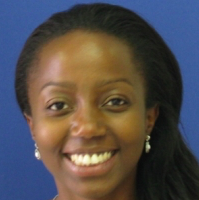 Born in Rwanda, raised in both the United States and Europe, Dr Niyibizi is a registrar in Emergency Medicine. She completed Internal Medicine training and an Emergency Medicine certificate training in Geneva. She completed her trauma certificate training in Jerusalem, Israel. She has active research projects on the Geneva trauma system registry and burnout prevention among emergency medicine physicians. She is fluent in 4 languages.